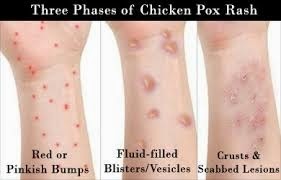 The Public is hereby advised of an outbreak of Chickenpox at the St George’s Anglican Junior School (Hindsey Junior School). The Ministry of Health has confirmed 17 cases of chickenpox among the students as of Monday, 22 February 2016. The Chief Medical Officer has advised that the school will be closed from Tuesday 23 to Friday 26 February 2016, to facilitate monitoring of all students and treatment of those affected. The Ministry of Education and Human Resource Development further advises that any and all siblings of all students who attend the St George’s Anglican Junior School should also remain at home, regardless of which school those siblings attend, as a precautionary measure. The Ministry of Education appeals to parents and guardians to observe this advisory and to report any new cases, inclusive of adults in the home, to their nearest health care provider, as efforts are being made to contain the spread of the disease. The Ministry of Education, in coordination with the Ministry of Health, will endeavour to provide more information as it is made available, including public service announcements of the signs and symptoms of Chickenpox. The public is therefore advised to take the necessary precautionary measures to avoid further outbreaks, as we endeavour to safeguard our nation’s most valuable resource: our people. The Ministry apologizes for the inconvenience caused and thanks the public for your usual cooperation.